In 2019 the Gemeente Museum The Hague together with The Hague Museum of Photography will host a large-scale Erwin Olaf solo exhibition. We would like to announce that Erwin Olaf will have a solo exhibition at Shanghai Center of Photography (SCoP) with the title Parallel. The exhibition will take place from 2 March till 30 May 2019. Gallery Rabouan Moussion in Paris will host a solo exhibition with 40 years of photography by Erwin Olaf. 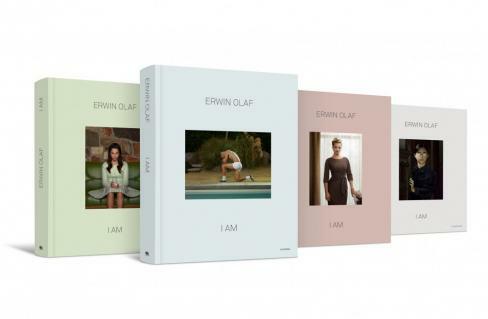 Gallery Rabouan Moussion will host a booksigning at the gallery of the new book : ERWIN OLAF - I AM. We are tremendously proud to announce that the famous Dutch Rijksmuseum received around 500 works from Erwin Olaf's core collection. From vintage prints to posters and films, spanning around 40 years of artistic works, to be enjoyed by many future generations. Works by Erwin Olaf have been acquired by Centro de Arte Contemporáneo de Málaga, Musée d'Art Moderne Grand-Duc Jean, Luxembourg, Musée National d'Histoire et d'Art, Luxembourg, HSBC Collection USA, Musem Arnhem, The Netherlands, and Koo Museum, South Korea. 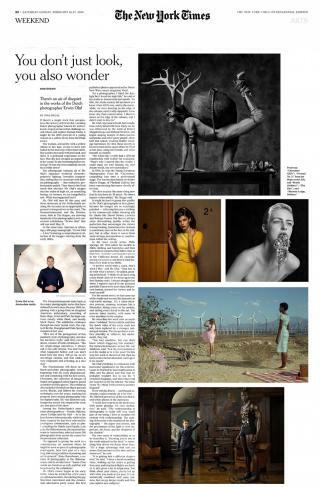 "Dutch Artist Erwin Olaf's Highly-Polished Photos Celebrate Fantasy While Revealing Society's Ills"